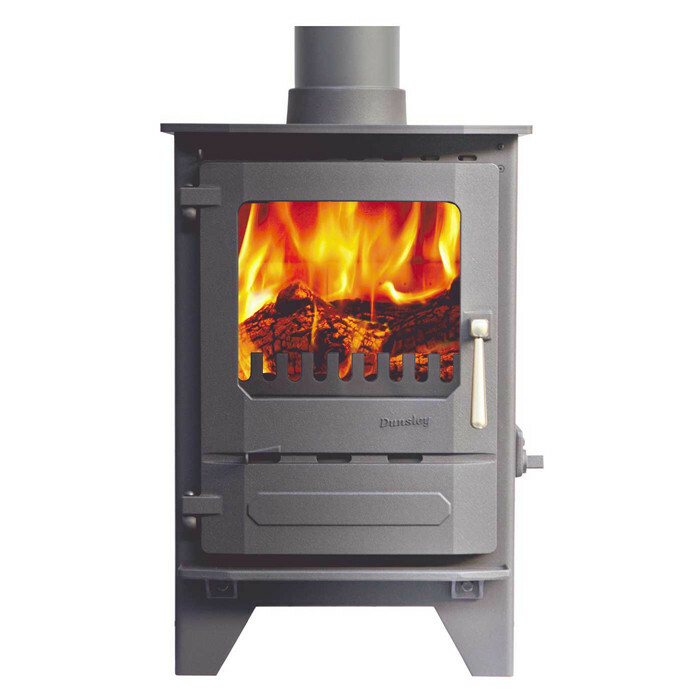 So you can enjoy the dancing flames of the Highlander Solo Stoves even more, Dunsley have developed the SG RANGE to give a larger window. 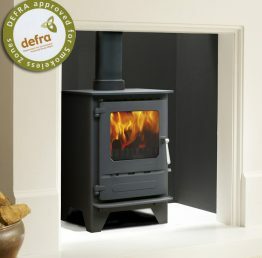 Available on the 3, 5, 7, 8 and 10 models, the square window doors still provide the same outputs and efficiencies as the standard Highlander stove models. The Dunsley Highlander Enviroburn 5SG enables you to burn wood in UK Smoke Control Areas as it has been developed to meet DEFRA’s stringent approval and combines simple, clean styling with the practical needs of today’s stove users. 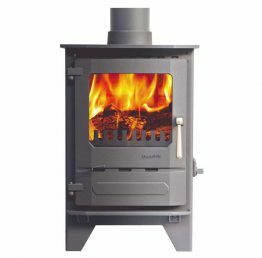 The Dunsley Highlander Enviro-burn 5SG has two combustion controls. The most ideal setting will quickly be found moving the slide slowly to find the most suitable position. Using the correct rate of burning, efficiencies of up to 78.9% burning wood logs can be achieved.